100% Cotton 50x50 133x100 Fabric, this is plain fabric, usually be dyed and printed, This cloth can be dyed in various colors and ca be printed in any pattern you need. 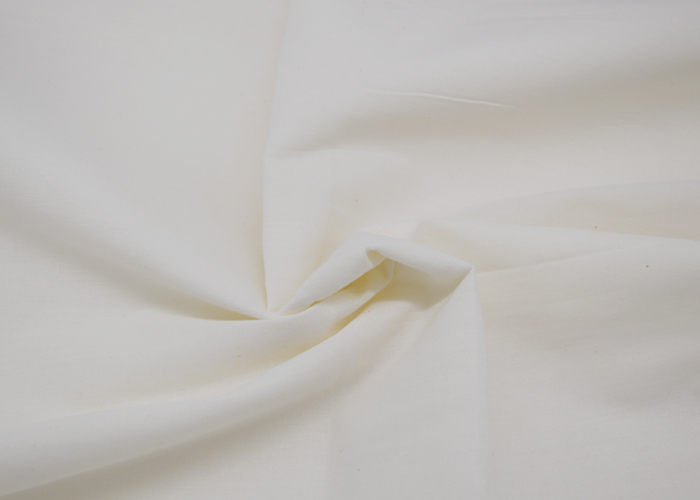 The fabric can be used for shirts, casual clothes, overalls, cotton clothes, trousers, underwear, pajamas, suits, cloth, outdoor clothes and so on. We use very good Xinjiang cotton, we are the member of BCI and we passed the ISO9001 international quality system certification. 1. PROFESSIONA : The company set up more than 30 years with own import & export authority, specializing in the production of polyester cotton fabrics. 2. 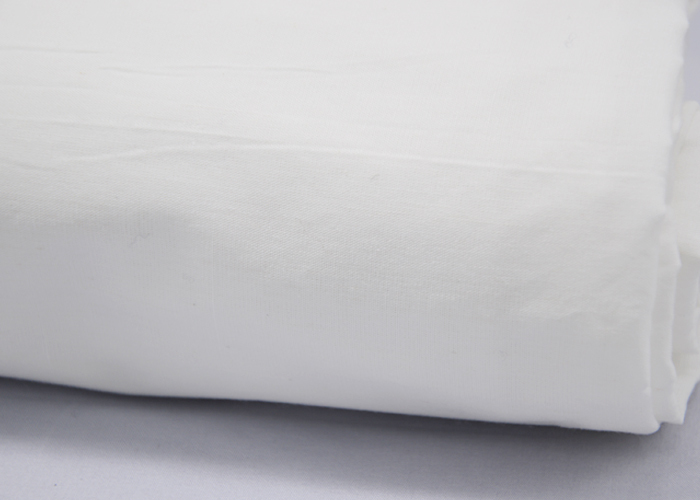 MATERIAL: We choose high quality materials, as Xinjiang Cotton and Sinopec polyester short fiber, and we are the member of BCI (Better Cotton Initiative). 3. QUALITY: Our products through the ISO9001 international quality system certification, the production of each link has strict rules system and by professionally trained worker operating. 4. EQUIPMENT: The company owns 85000 spindles, Uster Jossi Vision Shield , Siro Spinning, automatic winders, GA310 Sizing Frames and more than 400 air-jet looms. 5. SERVICE: Our sales team has received professional training in production and sales, with rich experience and good cultivated manners. 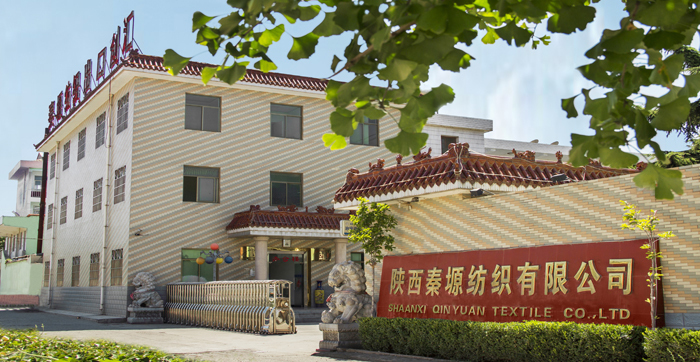 Shaanxi Qinyuan Textile Co., Ltd. whith was established in 1985, is a large-sized professional enterprise in production, sale and service. We perennially supply yarn, grey fabric, dyed, bleach, print, single-yarn drill of different standards as well as other accessories. Particularly our T/C produtcs have been exported to dozens of countries these years and establised stable supplying relationship with clients. Qinyuan team, devoting to meeting clients various needs, will take you the best value and interest by supplying superior products and thoughtful service. 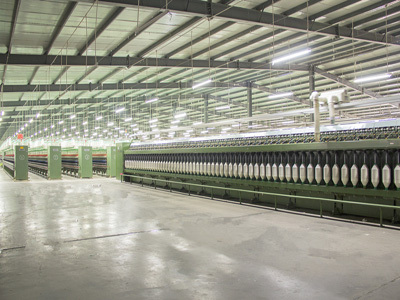 Shaanxi Qinyuan Textile Co., Ltd. established in 1985, is located in the textile industrial park of Changxing Town, Mei County. The company is a large-sized professional enterprise in production, sale and service. Covering about 10 hectares, it has staff of over one thousand and fixed assets of 200 million. 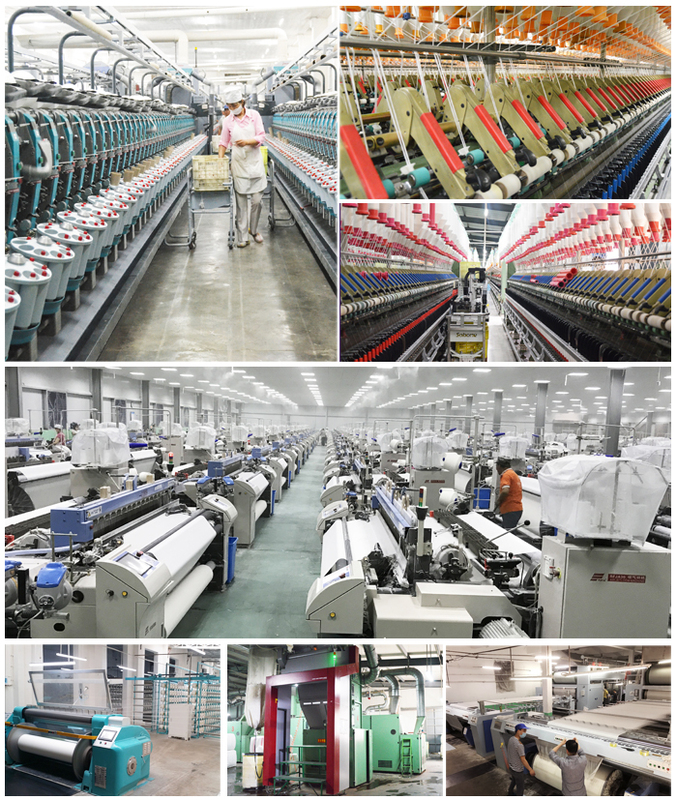 The company owns 85000 spindles, 1000 weaving machines as well as blowing-carding frames, automatic winders and other sophisticated equipment. Besides, the company has imported 700 air-jet looms in 2016, with which the production capacity is greatly raised. 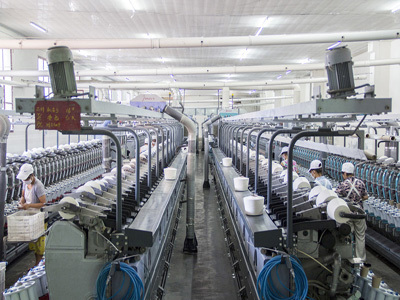 According to incomplete statistics, in 2016 the company achieved about 500 million industrial output with the production of 58 million meter piece goods and 8500 tons of yarns. Successively, the company was honored by the provincial government as "Outstanding Enterprise in Producing and Managing", "Excellent Enterprise in Infrastructure Management", "One of the Top 100 Enterprises" and "Excellent Enterprise in Earning Foreign Exchange through Export". 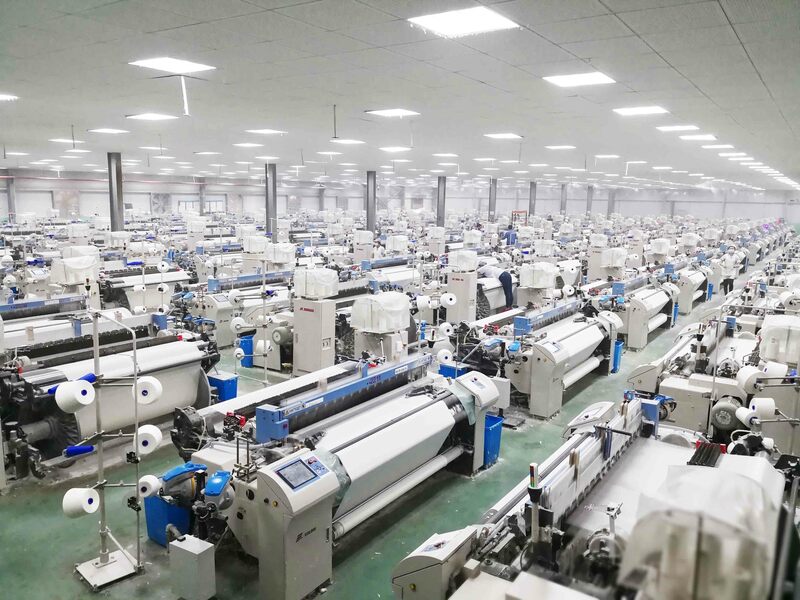 The company mainly produces and sells T/C yarn, T/C grey fabric, bleach, dyed fabric, wax fabric, single-yarn drill, prints and lace of different specifications, which are widely used in fabric printing, dyeing, clothing, medicine and packaging. T/C products, as the company`s core products, have been sold to dozens of countries in recent years. Especially, they are in great demand in the Southeast Asia, the North Africa, the South Africa, the Middle East, European, the North America, the South America as well as the other areas worldwide. So far, the company has realized the integration of manufacturing with trading, which helps to bring about the continuously enlargement of market share. 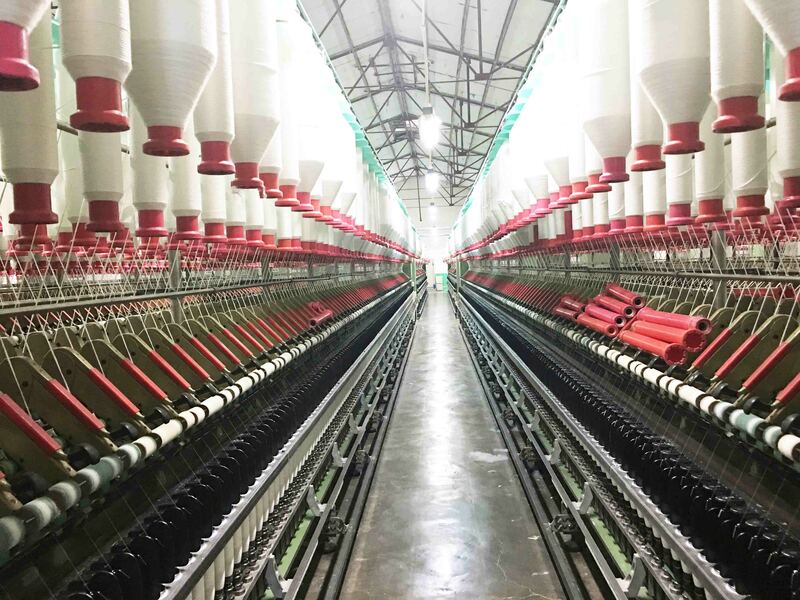 For many years, the company has been the top in earning foreign exchange through exports in the textile industry in Shaanxi province. We are always trying to meet clients'various needs by improving the quality of products and service so as to make our-self develop to an international supplier in producing diverse fabrics. Company Name: SHAANXI QINYUAN TEXTILE CO., LTD. Factory Location: No.7 West Road, Changxing Town, Baoji, Shaanxi in China.